As summer approaches, pest control companies across the nation are gearing up for the busiest season of the year. 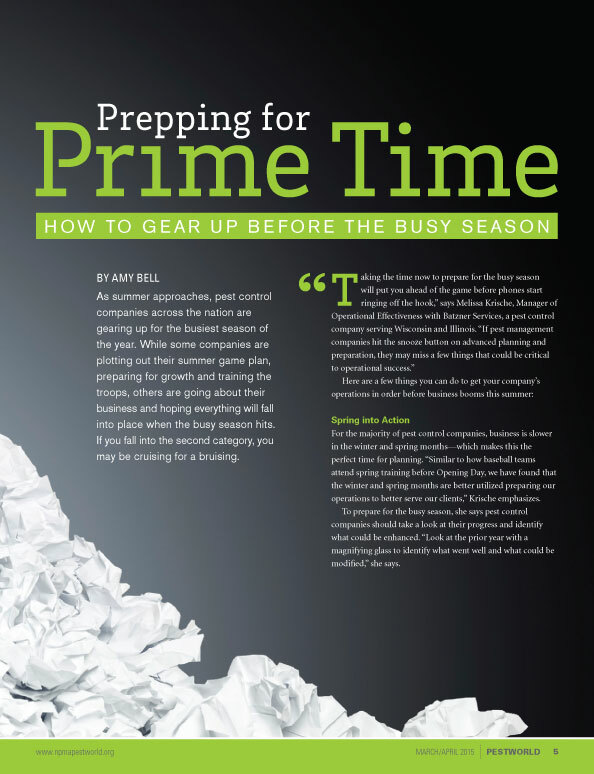 While some companies are plotting out their summer game plan, preparing for growth and training the troops, others are going about their business and hoping everything will fall into place when the busy season hits. If you fall into the second category, you may be cruising for a bruising. For the majority of pest control companies, business is slower in the winter and spring months—which makes this the perfect time for planning. 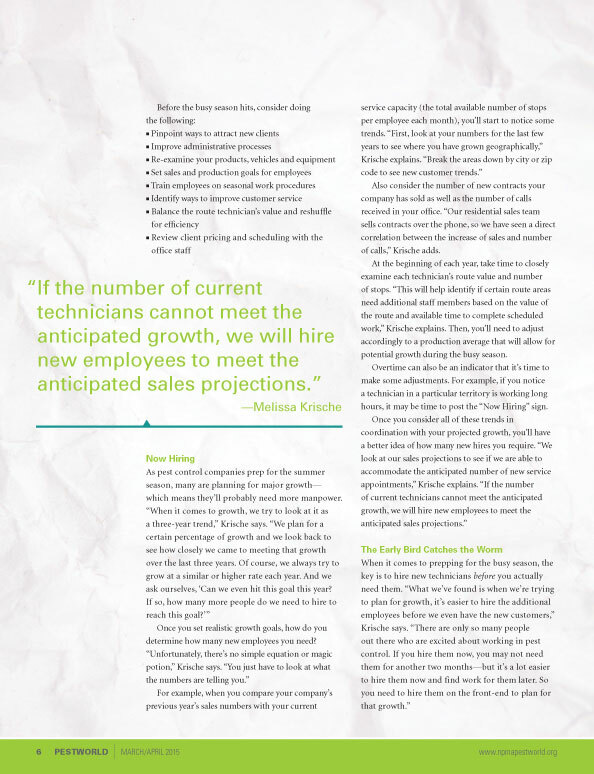 “Similar to how baseball teams attend spring training before Opening Day, we have found that the winter and spring months are better utilized preparing our operations to better serve our clients,” Krische emphasizes. To prepare for the busy season, she says pest control companies should take a look at their progress and identify what could be enhanced. “Look at the prior year with a magnifying glass to identify what went well and what could be modified,” she says.